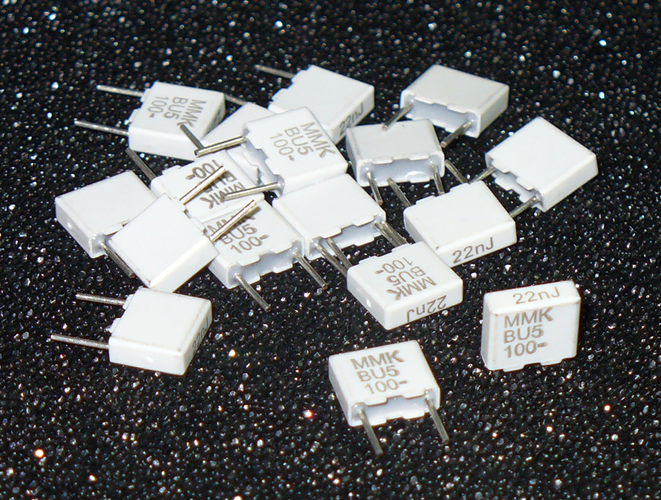 These 22nF (.022uF) film box capacitors are Kemet MMK5 223J100J01L4, which are very nice capacitors. We are offering these at a price cheaper than some of the big Kemet distributors. We think you'll like the quality.